There are many things that can harm your car’s paint job: UV rays, leaves, tree sap, pollutants, and bird droppings to name a few. 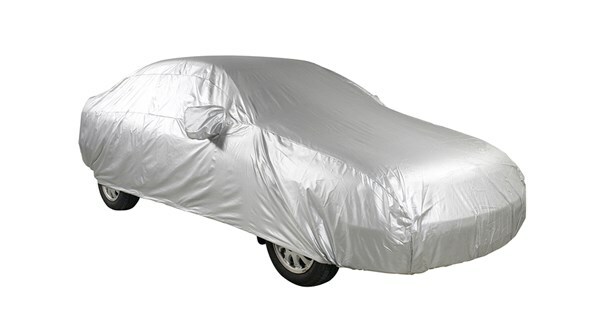 If you want to preserve your car’s appearance, a custom car cover is a good investment. For one thing, it’s a lot less expensive than a new paint job. A better idea is to buy one. An online search for “custom car covers” will yield the names of plenty of companies that make custom car covers. The cost of these covers depends mostly on the type of fabric used, but generally, you can expect to pay from $150 to $250 or more. You will want to have some knowledge of the different types of fabrics available. It’s also a good idea to ask the shop for fabric samples when you visit in order to get an idea of their quality. Woven fabrics are stronger, meaning they are more resistant to tears than non-woven or bonded fabrics. They also fold easily and can be stored compactly. They offer good protection from water, mildew, and UV rays. Non-woven fabrics are normally made from polymers and are thicker than both warp knits and woven fabrics, but they are not as strong. Their thickness can give more protection against abrasion, but they can also be unwieldy. They provide a good defense against UV rays, mildew, and water. Warp knits are normally made of nylon or polyester and fold easily and compactly. They are very strong and effective in protecting against mildew, water, and UV rays. Most outdoor covers will resist a lot of rain, but not all of it. Your car’s cover will need to be breathable because the moisture can smother the paint and cause it to peel or become discolored. A breathable cover can also protect your car’s paint from condensation which can form during rapid temperature changes. If water forms on your car’s paint in the winter and the temperature drops quickly, then the cover can stick to your car. When this happens you should not try to remove the cover. It could damage the cover and your car’s paint. Wait until it’s warmer outside. When you take the cover off after a heavy rain it will be very wet and heavy. You will want to dry the cover as soon as you can. If you don’t have a place for the cover to dry you can put it in a plastic bag or bin until it is dry enough outside. Most covers can be washed in a standard washer. Heavier ones should be cleaned in a commercial washer. Use mild soap in cold water. Hot water will cause shrinkage. Hang dry the cover. Home and commercial dryers will damage the majority of covers. Are Car Covers Worth the Money?